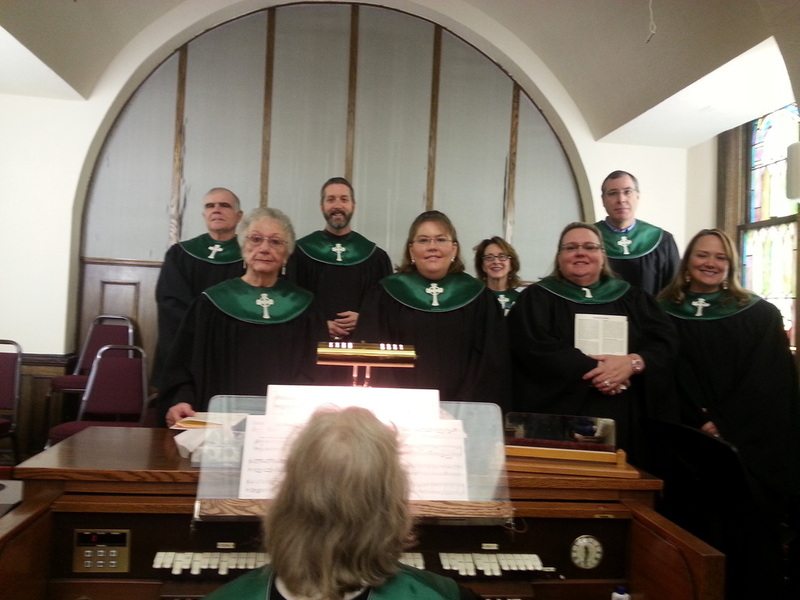 The Chancel Choir: is for teenage to adult members. We typically meet weekly on Wednesday nights at 7:30 for an hour long practice, and we sing an anthem each Sunday and lead music throughout our services. There are also many opportunities for solos and special music throughout the year. As a group, we participate in other church ministries together, like Sandwich Saturdays, and we often have social gatherings, like fall retreats, Christmas and end-of-year parties. Member-Led Sundays: are an opportunity for other members of our choirs and church to participate in the music of the service. During these services, hymns, anthems, offertory music, etc are played and sung by volunteers. These are often "less traditional" services with the absence of our organist. Members of the congregation who play a variety of instruments are always encouraged to play for Member-Led Sundays. Joyful Noise Choir: is children ranging in age from Pre-K to 5th Grade. We meet at different times throughout the year to practice for special music during the holidays, but we also have a goal to sing periodically for regular services. During practices, the children learn about the proper techniques to help them while singing, such as breathing, diction, and basic music theory. Joyful Noise singers also have the opportunity to learn how to play different rhythm instruments. Other special church music includes handbells, although an official choir has yet to be formed. Volunteers are often used for special music occasions.